MESA, Ariz. (July 30, 2013) – GOe3, an Arizona based company, announced plans today to install seven electric vehicle fast charge stations throughout the Denver Metro area. 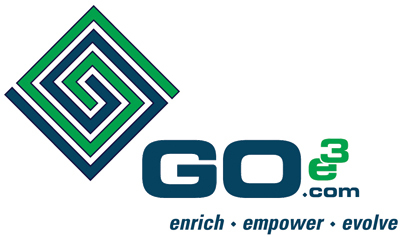 GOe3 sees opportunity to provide infrastructure to an underserved market of electric vehicle drivers in Denver, supporting a nationwide plan to increase electric vehicle adoption in America. Sites are being strategically planned along I-70 and I-25 to improve intercity mobility. GOe3 anticipates the project’s completion in the next few months. This project will include the installation of GOe3’s uniquely designed universal Level 3/2 charging stations at points-of-interest along this route. “GOe3 E3 charging stations will utilize CHAdeMo, Tesla plug standards, as well as the developing standardized SAE when the technology becomes available,” said Bruce Brimacombe, CEO of GOe3. This will service the most driven EVs on the road today including, but not limited to the Nissan Leaf, Tesla Model S, Mitsubishi i MiEV, and soon Chevy Spark, as well as future models adopting SAE quick charge capabilities. This announcement comes on the heels of Colorado’s recently passed Innovative Motor Vehicle Income Tax Credit, which offers state tax credits up to $6,000 for electric vehicle purchasers or lessees until 2021. As part of a larger mission to improve range confidence and the viability of electric vehicles for all travel needs, GOe3’s Denver network will quickly expand to surrounding cities and states, with the intent to create the first coast-to-coast EV Highway. A docudrama, following the company’s journey across the USA, begins filming in Denver on August 5th.